The Synthetic Aperture Radar (SAR) is an all weather imaging radar that achieves fine along-track resolution by taking the advantage of platform motion to synthesize a large antenna aperture. There is an urgent need to develop Malaysian own SAR system for national monitoring and earth resources management. The development of SAR system in MMU was initiated with the aim to develop an operational airborne SAR system that serves as a test-bed for SAR technologies. In order to generate high quality SAR image, the airborne platform has to acquire data in a constant-velocity straight-and-level flight. In practice, atmospheric turbulence, vibration, pilot maneuvers and course corrections cause the aircraft to deviate from the desired flight path. These deviations will manifest as phase errors in the SAR processing and deteriorate the SAR images. 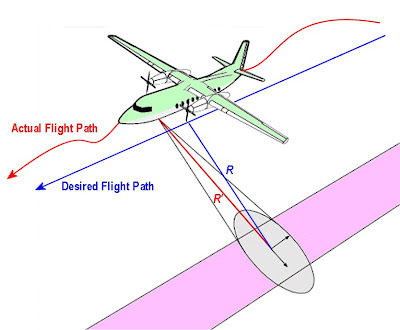 The motion compensation system, with the aid of onboard motion measurement system, will estimate the displacement vector from the desired flight path and therefore obtain its corresponding phase error. Motion compensation involves the electronic phase adjusting of the synthetic array element to achieve the coherent phase history. An airborne synthetic aperture is being developed in Multimedia University. Without an operational motion compensation system, it will be difficult to obtain high quality SAR images. A motion compensation system will be developed in this project to compensate the motion error of the airborne platform. This will be a meaningful contribution to the achievement of Malaysia first own airborne SAR. In the development of the motion compensation system, possible improvements to the current technology of motion compensation will be considered. To design a motion compensation system to compensate the undesired SAR airborne platform motion in order to restore SAR images focusing and geometric accuracy. The basic concept of motion compensation is the formation of a unit vector to the ground point and the slaving of the real illuminating antenna and the processed synthetic antenna to this unit vector . The amount of compensation that is required is developed in terms of transfer curves for the main motion reduction paths. The transfer curves are obtained by dividing the expected motion spectrum by the required sensitivity spectrum . The most critical motion reduction path for typical parameters is shown to be the translational path. The lever arm and real antenna stabilization paths are less critical, but must also be implemented . Trajectory deviations generally produce spectral replicas along the azimuth frequency that strongly impair the quality of the focused image . Deviation terms are separated into range space invariant and variant components. The former can be accounted for either in a preprocessing step or efficiently at range compression stage. The latter needs a prior accommodation of range migration effect . Uncorrected across-track motions of a synthetic aperture radar platform can cause both a severe loss of azimuthal positioning accuracy in, and defocusing of, the resultant SAR image . An autofocus procedure can be incorporated in the azimuth processing to produce a fully focussed image, which is geometrically accurate in azimuth . Kirk, John C. Jr., "Motion Compensation for Synthetic Aperture Radar", IEEE Transactions on Aerospace and Electronic Systems, Vol. 11, No. 3, May 1975. Fornaro, G., "Trajectory Deviations in Airborne SAR: Analysis and Compensation", IEEE Transactions on Aerospace and Electronic Systems, Vol. 35, No. 3, July 1999. Blacknell, D., Freeman, A., Quegan, S., Ward, I. A., Finley, I. P., Oliver, C. J., White, R. G. and Wood, J. W., "Geometric Accuracy in Airborne SAR Images", IEEE Transactions on Aerospace and Electronic Systems, Vol. 25, No. 2, March 1989.